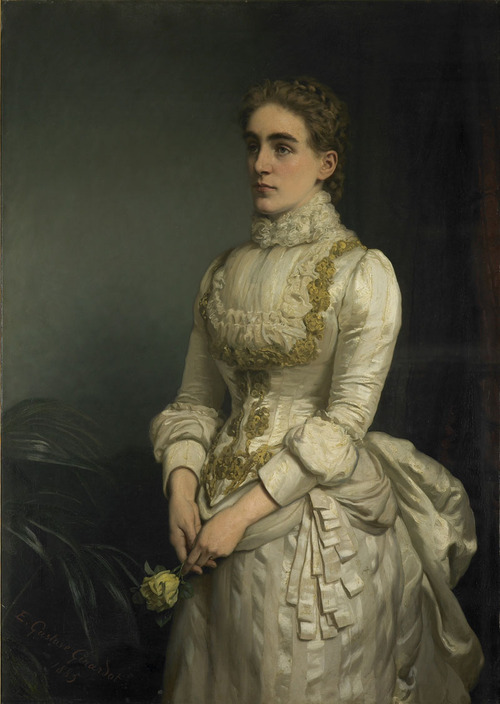 In my research I intended to focus on three artists represented within the Guildhall collection: George Pycock Green (active 1840-1893), Ernest Gustave Girardot (1840-1905) and Benjamin Hudson (c.1817-1900). I wanted to discover all I could about them and in particular about their links to Hull and when they might have practised in the area. I also wanted to use this research as a means to understand portrait research better and get to grips with the resources the NPG had to offer. As part of this I was able to speak with the Curator of 19th Century collections, which was very useful. Finally, I wanted to gain an understanding of the educational and interpretational approach at the NPG, in terms of exploring the different elements of portraiture. I was able to chat to the NPG’s Head of Learning and gain an insight in the work being undertaken. The intended outcomes of my research were to consolidate all known information about the artists researched and to make this available to my museum service, regional collections and the Heinz Library at the NPG. An additional outcome is to share my understanding of the NPG’s educational and interpretation work within my service.